I think one of the more difficult decisions I face in the fall is deciding which Halloween costume to wear. One of my favorites is the cowboy from space (probably because I get to wear my cowboy hat). While I was recently talking with Megan Kachur, the product developer for Headwear, about the new Vinylmation Ear Hats, she shared with me several Halloween-inspired hats. It was a real “treat” for me to see them (ha ha), and I thought you’d like to see them too. 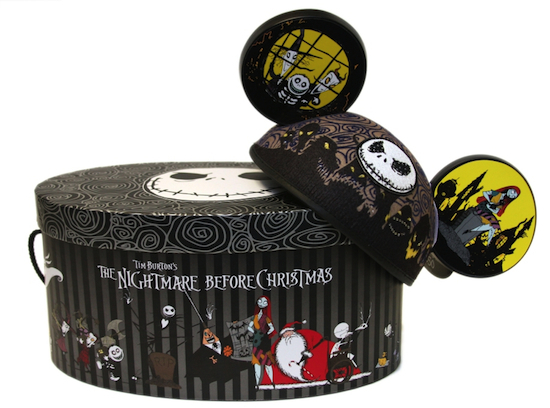 The first one is the next in our series of limited edition Disney Ear Hats featuring Tim Burton’s “The Nightmare Before Christmas.” My favorite detail is that the hat lights up; it is the first time we’ve had LED lights embedded in the hat base. Similar to the other limited edition hats, this one is presented in a purple, satin-lined hat box. It has an edition size of 1,250 and a retail of $69.95, and was recently released at select locations in Disneyland and Walt Disney World. I asked Megan about the creation of this hat. 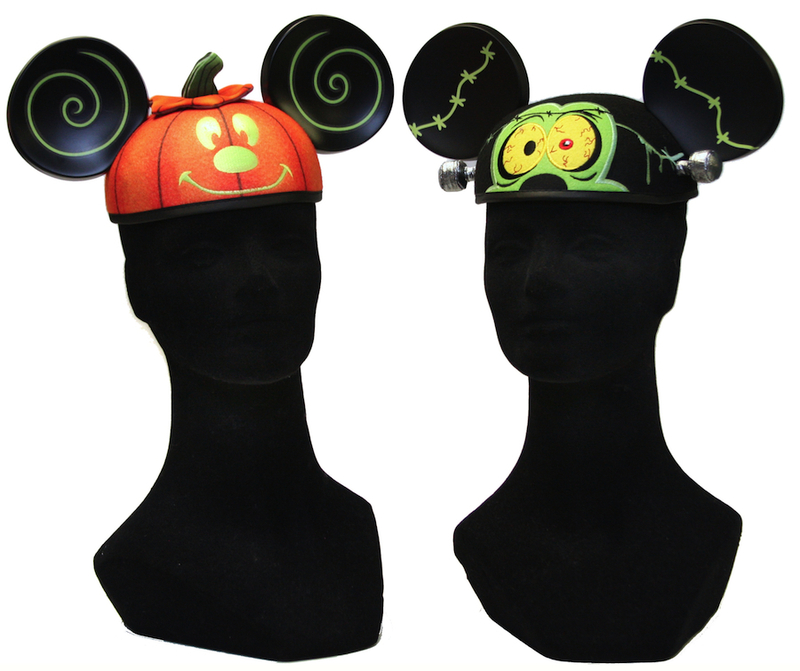 Next up in the bag o’ goodies are two open edition ear hats – a Mickey Mouse pumpkin hat and one inspired by “Runaway Brain” (Yes!!). Disney Design Group Artist Darren Wilson created the “Runaway Brain” hat. Lastly, Megan shared with me two new deluxe fashion headbands. I know, they aren’t traditional “hats,” but you do wear them on your head. I’m sure I will see many this fall as they should be easy to spot in a crowd. They are a new take on headbands explained Megan. 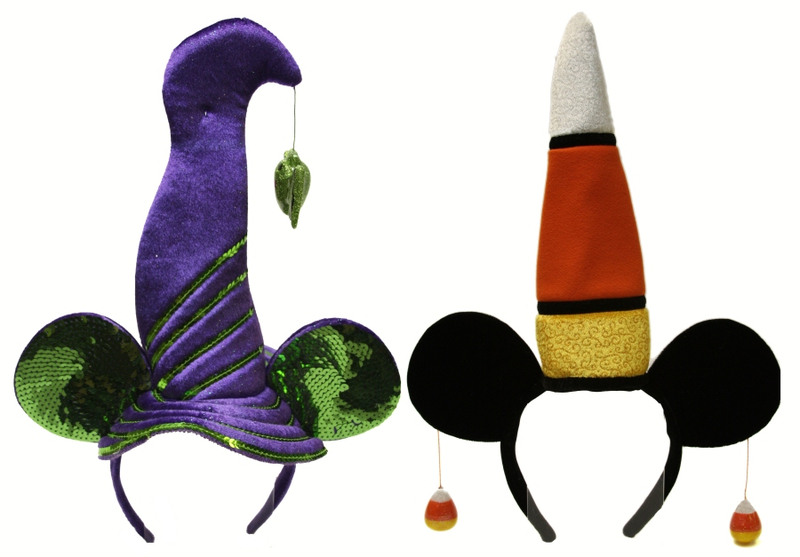 It will be interesting to see what is next for the headbands and Disney Ear Hats. I’m personally hoping for a “TRON: Legacy” ear hat as it would go well with an idea for my Halloween costume this year. 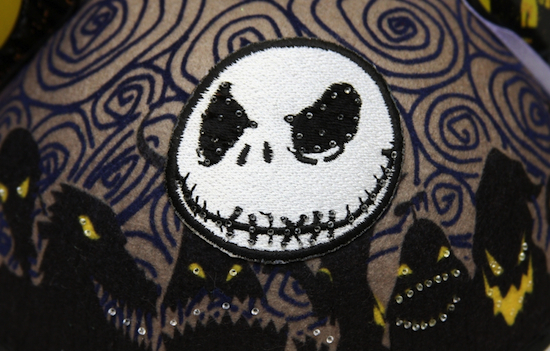 Have you figured out your Halloween costume yet?